THE PORCELAIN 1725-1730, THE COVER WITH MARK OF F. FRANZ RUMWOLF FOR 1820. See J. F. Hayward, Weiner Porzellan, Vienna, 1970, plate 28a and Sammlung Karl Mayer, 1928, abb. 3 for similarly painted examples; also Elizabeth Sturm-Bednarczyk, Claudius Innocentius du Paquier, Wiener Porzellan de Früzeit 1718-1744, Vienna, 1994, pp. 60-61, cat. no. 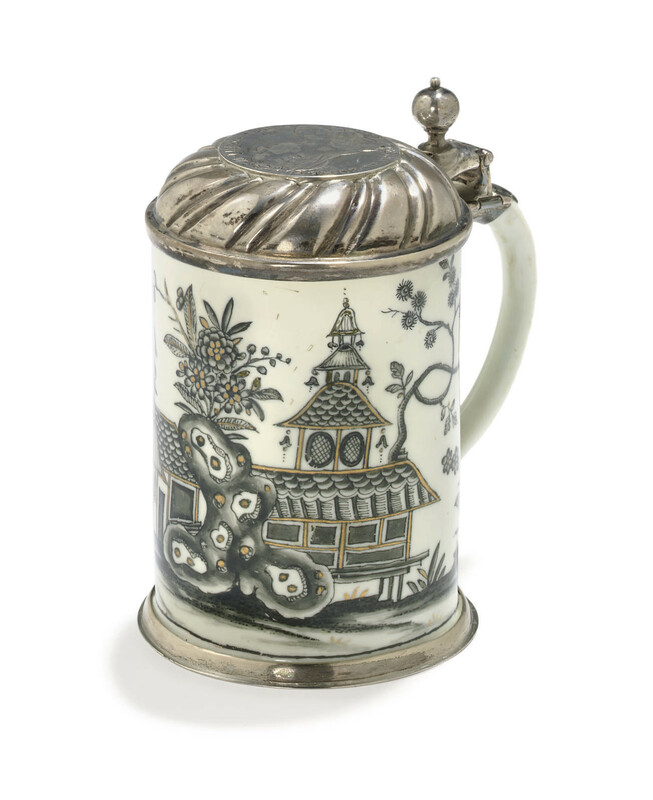 49 for a similarly painted silver-gilt mounted tankard, the pavilions also with scale-pattern roof tiles.